Comments: copy is good cover shows mild wear CD has scratches binding is solid unmarked text We take great pride in accurately describing the condition of our books ship within 48 hours and offer a 100% money back guarantee. 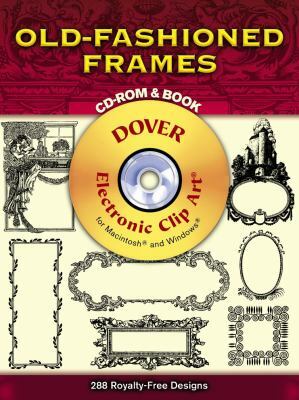 Dover Staff is the author of 'Old-Fashioned Frames' with ISBN 9780486999500 and ISBN 0486999505. Loading marketplace prices 6 copies from $2.70 How does the rental process work?